The first Happy Death Day was a pretty neat, if not very low stakes Blumhouse production and kind of the exemplifier of their format. It was a slightly above average, cheap, and brief horror/slasher with a kind of neat twist, i.e. Groundhog Day, but I'm being murdered. There was nothing really exemplary about it, compared to other BH productions that came out that year (Get Out, The Belko Experiment, Creep 2 or Ouija 2) but what it had going for it was a slightly fun black comedy tone, along with a campy but dedicated performance by Jessica Rothe as the heroine and trashy college girl, Tree. If I had reviewed when it came out, I probably would've given it a 2.5-3/5. 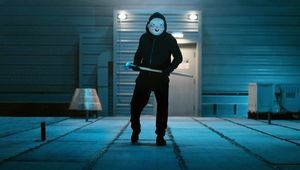 The first trailer for 2019's Happy Death Day 2U looks just as questionable as 2017's Happy Death Day. Take my money Blumhouse. — If you’re reading this, perhaps it's reasonable to presume you have a vested interest in seeing what’s next for Death Day’s time-looping final girl, Tree Gelbman - played by breakout actress Jessica Rothe. Conversely, it's also reasonable to presume you couldn't care less about Blumhouse’s sequel but perhaps fancy yourself a glutton for some February sub-genre punishment. In less than five months, we'll find out what exactly is death's beef with Tree Gelbman? — Universal and Blumhouse's sequel features the return of writer and director Christopher Landon alongside Death Day’s time-looping final girl, Tree Gelbman played by breakout actress Jessica Rothe. Got Valentine’s Day Plans? — The sequel to last year's $122 million dollar box office slasher is slated to hit theaters on February 14, 2019! 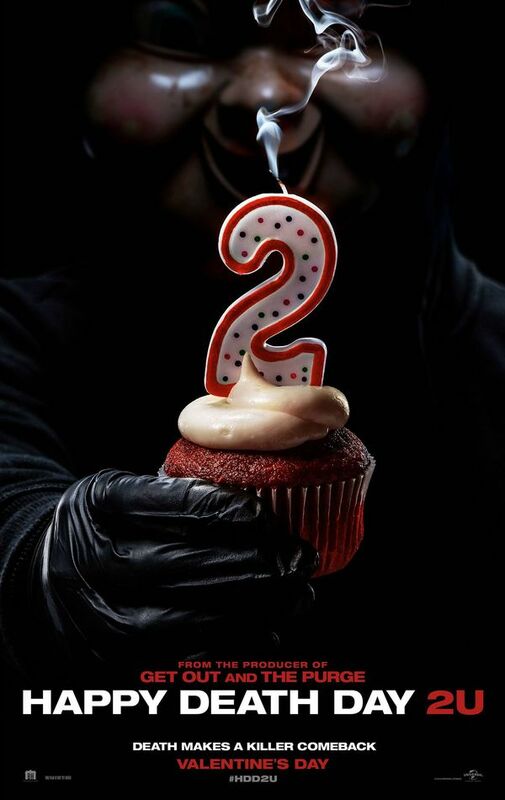 And that's not all, the sequel has been given the appropriate title treatment - Happy Death Day 2U! Universal and Blumhouse's sequel features the return of writer and director Christopher Landon alongside Death Day’s time-looping final girl, Tree Gelbman played by breakout actress Jessica Rothe.